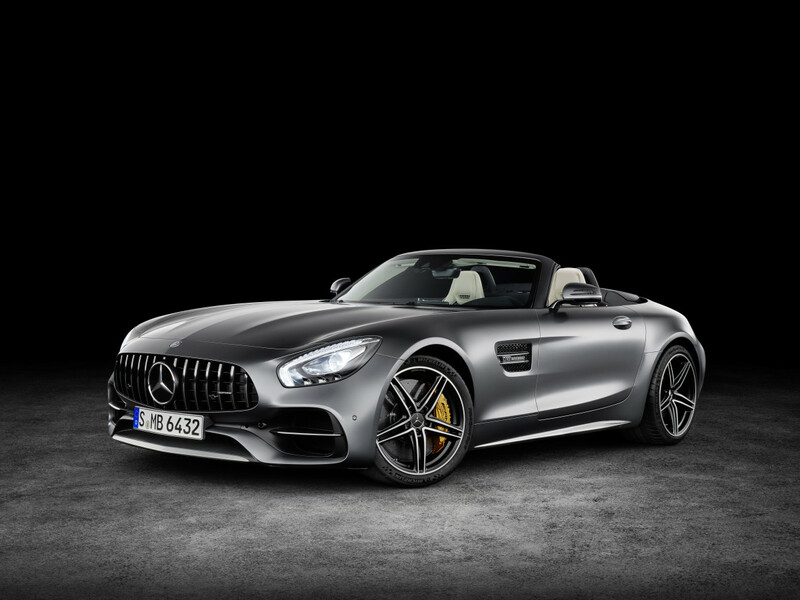 AMG's flagship performance car drops its top. 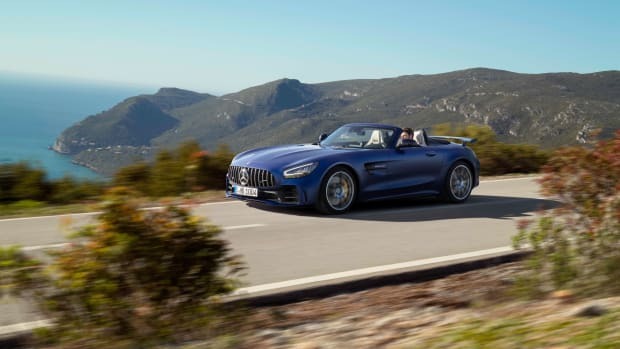 AMG is expanding the GT family with a new roadster model that perfectly translates the silhouette into a sleek convertible. Some of the technical improvements from the GT-R have trickled down to the car such as active rear axle steering, electronically controlled rear axle locking differential, and exterior elements like the Panamericana grille are also added as well. Two models will hit showrooms: the GT Roadster and the GT C Roadster. 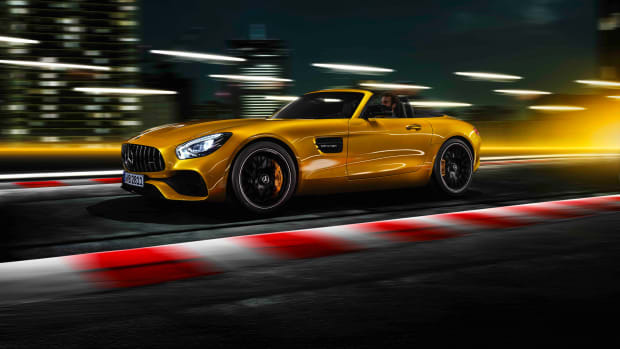 Both GTs will have the 4.0L V8 from its hard-top counterpart with the standard GT putting out 469-hp and 465 lb-ft of torque while the GT C tops out the range with 550 hp and 502 lb-ft of torque. 0-60 will happen in 3.9 seconds in the standard GT and the GT C clocks a time of 3.7 seconds. 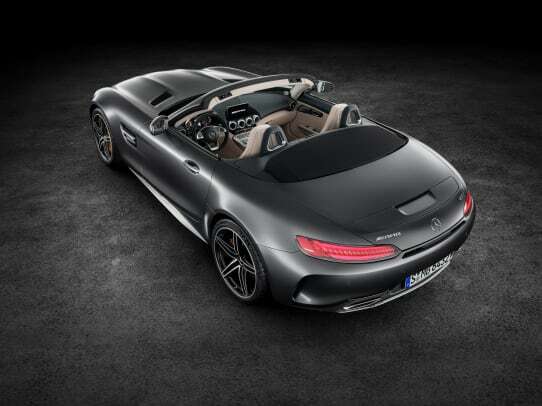 Top speed is 188 mph in the GT and 196 mph in the C. The roadsters are set to hit Mercedes dealers in the Fall of 2017. Because what fun is 577 hp if you can't put the roof down? The new model will sit between the GT Roadster and the GT C Roadster. 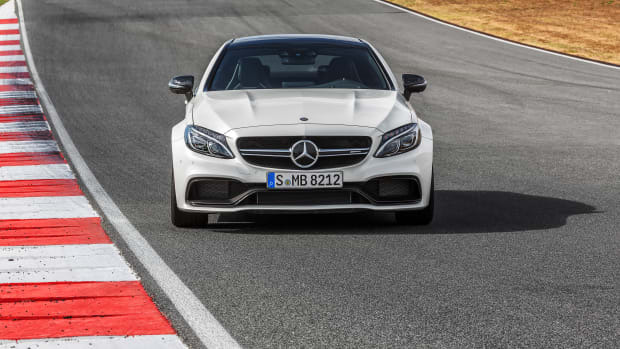 And now the question: C63 AMG or a M4?